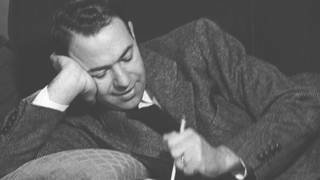 A Tribute to Blacklisted Lyricist Yip Harburg: The Man Who Put the Rainbow in The Wizard of Oz | Democracy Now! AMY GOODMAN: Today, we pay tribute to Yip Harburg. His name may not be familiar to many, but his songs are sung by millions around the world, like jazz singer Abbey Lincoln and Tom Waits, Judy Collins, and Dr. John from New Orleans, Peter Yarrow, that’s Al Jolson, and our beloved Odetta. Today, in this Democracy Now! special, we pay tribute to Yip Harburg’s life. Ernie Harburg is Yip’s son and biographer. He co-wrote the book Who Put the Rainbow in The Wizard of Oz? : Yip Harburg, Lyricist. I met up with Ernie Harburg at the New York Public Library for Performing Arts at Lincoln Center years ago when they are exhibiting Yip Harburg’s work. Ernie Harburg took me on a tour. ERNIE HARBURG: The first place is business about words, and one of them is that the songs, when they were written back in those days, anyhow, always had a lyricist and a composer, and neither one of them wrote the song. They both wrote the song. However, in the English language, you know, you have “This is Gershwin’s song,” or “This is” — they usually say the composer’s song. I’ve rarely ever heard somebody say, “This is Yip Harburg’s song” or “Ira Gershwin’s song.” Both of them would be wrong. The fact is, two people write a song. AMY GOODMAN: Let’s go back to how Yip got his start. ERNIE HARBURG: Yip was, at a very early age, interested in poetry, and he used to go to the Tompkins Square Library to read, and the librarians just fed him these things. And he got hooked on every one of the English poets, and especially O. Henry, the ending. He always has a little great ending on the end of each of his songs. And he got hooked on W.S. Gilbert, The Bab Ballads. That began their lifelong friendship. Then Ira went on to be one of the pioneers, with 25 other guys, Jewish Russian immigrants, who developed the American Musical Theater. And it was only after — in 1924, I think, that Ira’s first show with George Gershwin, his brother, that they started writing together. AMY GOODMAN: The Gershwins’ Porgy and Bess in 1940. ERNIE HARBURG: Yip’s career took a kind of detour, because when the war, World War I, came and Yip was a socialist and did not believe in the war, he took a boat down to Uruguay for three years. I mean, he refused to fight in the thing. That’s shades of 1968 and the Vietnam War, right? AMY GOODMAN: And why didn’t he believe in World War I? ERNIE HARBURG: Because he was a full, deep-dyed socialist who did not believe that capitalism was the answer to the human community and that indeed it was the destruction of the human spirit. And he would not fight its wars. And at that time, the socialists and the lefties, as they were called, Bolsheviks and everything else, were against the war. So, when the Crash came and Yip’s business went under, and he was about anywhere from $50,000 to $70,000 in debt, his partner went bankrupt. He didn’t. He repaid the loans for the next 20 or 15 years, at least. Ira and he agreed that he should start writing lyrics. AMY GOODMAN: Let’s talk about what Yip is most known for: Finian’s Rainbow, The Wizard of Oz. Right here, what do we have in front of us? Now, the rich, you know, kept living their lifestyle, but Broadway was reduced to about 12 musicals a year from prior, in the '20s, about 50 a year, OK? So it became harder. But the Great Depression was deep down a fact of life in everybody's mind. And all the songs were censored—I use that loosely—by the music publishers. They only wanted love songs or escape songs, so that in 1929 you had “Happy Days Are Here Again,” and you had all of these kinds of songs. There wasn’t one song that addressed the Depression, in which we were all living. And this show, the Americana show, Yip was asked to write a song or get the lyrics up for a song which addressed itself to the breadlines, OK? And if you look at Yip’s notes, which are in the book that I mentioned, you’ll see he started out writing a very satiric comedic song. At that time, Rockefeller, the ancient one, was going around giving out dimes to people, and he had a—Yip had a satiric thing about “Can I share my dime with you?” You know? But then, right in the middle, other images started coming out in his writings, and you had a man in a mill, and the whole thing turned into the song that we know it now, which is here and which I can read to you. And if you do this song, you have to do the verse, because that’s where a lot of the action is. AMY GOODMAN: Can you sing it to me? ERNIE HARBURG: Alright, I’ll try. It won’t be as good as Bing Crosby or Tom Waits. AMY GOODMAN: Yip Harburg singing in 1975. AMY GOODMAN: When was this song first played? ERNIE HARBURG: In 1932. And in the Americana review, every critic, everybody took it up, and it swept the nation. In fact, paradoxically, I think Roosevelt and the Democratic Party really wanted to tone it down and keep it off the radio, because playing havoc with trying to not talk about the Depression, which everybody did. You remember the Hoover thing, not only “Happy Days Are Here Again,” but “Two Chickens in Every Pot,” and so forth. Nobody wanted to sing about the Depression either, you know. AMY GOODMAN: Yet, Yip Harburg was a supporter of FDR. ERNIE HARBURG: Yes. But politics are politics, you know, and the thing was that, in fact, historically, this was, I would say, the only song that addressed itself seriously to the Great Depression, the condition of our lives, which nobody wanted to talk about and nobody wanted to sing about. AMY GOODMAN: Ernie Harburg, son of Yip Harburg. When we come back from our break, we’ll talk about The Wizard of Oz, Finian’s Rainbow and other shows. AMY GOODMAN: We continue with our Democracy Now! special, on our journey of Yip Harburg’s life with his son, Ernie Harburg. Ernie talks about how Yip Harburg wrote the lyrics to The Wizard of Oz. AMY GOODMAN: Wait a second. Bert Lahr, the lion? ERNIE HARBURG: The lion. Bert Lahr and most of these people were from vaudeville and burlesque. And Yip knew them in the ’20s, but he actually worked with Bert Lahr in this light — Walk a Little Faster and another review. I forget that name, but he and—Yip and Arlen gave Bert songs to sing, which allowed him to satirize the opera world, if you want, or a send-off of rich, you know. And so, they had that relationship. Also, Yip knew Jack Haley, the tin woodman. And Yip also worked with Bobby Connolly as a choreographer in the early '30s on his shows, who was also the choreographer for The Wizard of Oz. So he had a cast here with Arlen who were, you know, sort of Yip's men. You know what I mean? So, when Yip went to Arthur Freed, the producer, who was too busy to work on this musical, and Mervin LeRoy had nothing to do with it, practically, because he had never done a musical before, so it became a vacuum in which the lyricist entered, because he was all ready to do so. Yip was always an active, you know, organizer. And so, the first thing he suggested was that they integrate the music with the story, which at that time in Hollywood they usually didn’t do. They’d stop the story, and you’d sing a song. They’d stop the story and sing a song. That you integrate this—Arthur Freed accepted the idea immediately. Yip then wrote—Yip and Harold then wrote the songs for the 45 minutes within a 110-minute film. The munchkin sequence and into the Emerald City and on their way to the wicked witch, when all the songs stopped, because they wouldn’t let them do anymore. OK? You’ll notice then the chase begins, you see, in the movie. AMY GOODMAN: Why wouldn’t they let them do anymore? ERNIE HARBURG: Because they didn’t understand what he was doing, and they wanted a chase in there. So, anyhow, Yip also wrote all the dialogue in that time and the setup to the songs, and he also wrote the part where they give out the heart, the brains and the nerve, because he was the final script editor. And there was eleven screenwriters on that. And he pulled the whole thing together, wrote his own lines and gave the thing a coherence and a unity, which made it a work of art. But he doesn’t get credit for that. He gets “lyrics by E.Y. Harburg,” you see? But, nevertheless, he put his influence on the thing. AMY GOODMAN: Who wrote The Wizard of Oz originally, the story? ERNIE HARBURG: Yeah, Frank L. Baum was an interesting kind of maverick guy, who at one point in his life was an editor of a paper in South Dakota. And this was at the time of the Populist revolutions or revolts, or whatever you want to call it, in the Midwest, because the railroads and the eastern city banks absolutely dominated the life of the farmers, and they couldn’t get away from the debts that were accumulated from these. And Baum set out consciously to create an American fable so that the American kids didn’t have to read those German Grimm fairy stories, where they chopped off hands and things like that. You know, he didn’t like that. He wanted an American fable. But it had this underlay of political symbolism to it that the farmer—the scarecrow was the farmer. He thought he was dumb, but he really wasn’t; he had a brain. And the tin woodman was the result—was the laborer in the factories. With one accident after another, he was totally reduced to a tin man with no heart, alright, on an assembly line. And the cowardly lion was William Jennings Bryan, who kept trying—was a big politician at that time, promising to make the world over with the gold standard, you know? And the wizard, who was a humbug type, was the Wall Street finances, and the wicked witch was probably the railroads, but I’m not sure. Alright? YIP HARBURG: Now, here’s what happened, and I want you to play this symphonically! OK, I said, “My god, Harold! This is a 12-year-old girl wanting to be somewhere over the rainbow. It isn’t Nelson Eddy!” And I got frightened, and I said, “I don’t—let’s save it. Let’s save it for something else. But don’t—let’s not have it in.” Well, he felt—he was crestfallen, as he should be. And I said, “Let’s try again.” Well, he tried for another week, tried all kinds of things, but he kept coming back to it, as he should have. And he came back, and I was worried about it, and I called Ira Gershwin over, my friend. Ira said to him, he said, “Can you play it a little more in a pop style?” And I played it, with rhythm. ERNIE HARBURG: Anyhow, Yip—Arlen worked on it. He came up with this incredible music, which, if anybody wants to try it, just play the chords alone, not the melody, and you will hear Pachelbel, and you will hear religious hymns, and you will hear fairy tales and lullabies, just in the chords. No one ever listens to that, but try it, if you play the piano. ERNIE HARBURG: And Harold was a great composer. So Yip wrestled with it for about three weeks, and finally he came up with the word. You see, this is what a lyricist does: the word, to hit the storyline, the character, the music. It’s an incredible thing. “Some-where.” Alright, and then when you put in an octave, you get “some-where,” OK, and you jump up, and you’re ready to take that journey. Alright? Where? “O-ver the rainbow.” OK? And then you’re off! ERNIE HARBURG: That’s the way that the whole score came. AMY GOODMAN: Was it a hit right away? AMY GOODMAN: More than 20 years later. ERNIE HARBURG: More than 20 years later. I don’t think they even had their money back from the show, see? MGM sold the film rights to CBS, who then put it on. And it hit the top of the—it broke out every single record there was, and it’s been playing every year since then. And, of course, it went around the world, and it’s become a major artwork, which is, I must say, an American artwork, because the story, the plot with the three characters, the brain, the heart, the courage, and finding a home is a universal story for everybody. And that’s an American kind of a story, alright? And Yip and Harold put these things into song. AMY GOODMAN: Who did the munchkins represent? ERNIE HARBURG: Oh, you mean political thing? I think they represent the little people, you know, the people. And that’s they way they were—it came on in the book. You see, the book, if you’re a purist, you wouldn’t like the film. It’s just like anything else. There are societies of people who meet and discuss the books. OK, there’s even a society for the winkies, which are the guards around the wicked witch’s, you know, castle. There really is! They meet once a year. And they’re serious! They don’t like the picture, because it didn’t follow the book, see, because Yip and the writers changed it, as Hollywood will. AMY GOODMAN: Was the book a little bit more favorable to the winkies? ERNIE HARBURG: No—well, yes! The winkies were good people, and they were played up there. If you go back and read the book, you will see that they were a lovely, decent kind of people, yes. That was one thing. I guess it wasn’t PC there, you know? ERNIE HARBURG: So the songs keep growing with the times. People interpret them, you know? AMY GOODMAN: How did Yip feel in the late 1950s, when it was a hit, when people started hearing it all over the world? AMY GOODMAN: This is Democracy Now!, democracynow.org, The War and Peace Report. If you’d like a copy of today’s show, you can go to our website at democracynow.org. Back in a minute. AMY GOODMAN: We continue on our tour through the life of lyricist Yip Harburg with his son Ernie Harburg. ERNIE HARBURG: We’re walking through the gallery here at the Lincoln Center for the Performing Arts, which has “The Necessity of Rainbows,” dedicated to the works of Yip Harburg, the lyricist. And we’re now looking at the various exhibitions. AMY GOODMAN: You mean blacks and whites playing in the cast. ERNIE HARBURG: No, not in there. In Finian’s Rainbow, I mean that it was a political statement. Bloomer Girl was a political statement, and it was a smash hit. In 1946, Yip conceived the idea, the story, the script for Finian’s Rainbow, which was meant to be an anti-racist and, in a certain sense, anti-capitalist show also. AMY GOODMAN: Let’s find it. ERNIE HARBURG: Alright, let’s go. AMY GOODMAN: Let’s find Finian’s Rainbow. ERNIE HARBURG: Here’s Cabin in the Sky, which is the first all-black Hollywood film in the '40s, which Yip and Harold did also. “Happiness Is Just a Thing Called Joe.” Here's Bloomer Girl that I’m talking about. So, we should be, somehow, coming onto Finian’s Rainbow. But here’s Yip here. There’s a video of Yip talking, if you want to meet the man. YIP HARBURG: Thank God, yes. So—and this is an historical fact which Yip himself says—Broadway and the American theater in New York City was the only place where an artist could stand up and say whatever he wanted, provided he got the money to put the show on. So, for Finian’s Rainbow, they had to have 25 auditions, because they said it was a commie red thing. And finally, they got the money up, and they put the show up. But by that time, Yip was blacklisted. AMY GOODMAN: What happened to him during the McCarthy era? ERNIE HARBURG: Well, I mean this is a stagehands’ union. I’d like to say good things about unions, but they get bureaucratized, and they go right-wing, you know? They get bad. This was a bad leader, and he terrorized all of the Jewish moguls who were being accused of communism by the House Un-American Activities Committee, and they yielded to whatever he said to them, out of fear that they would get branded as communists or that they’d boycott the film, alright? AMY GOODMAN: How long couldn’t Yip work for? ERNIE HARBURG: For about from 1951 to 1962. He came back to Hollywood in 1962, when he and Harold Arlen did Gay Paris, which is with Judy Garland. She asked them to come back. And it’s a cult animated cartoon now, which you can get in your video. And I remember him putting on a show at the Taber Auditorium. “Welcome Back, Yip,” you know? And he—in ’62. AMY GOODMAN: But that means that The Wizard of Oz made it big during the time that he was blacklisted. That was—and when you consider the social commentary that it was making, that’s pretty profound. ERNIE HARBURG: Yeah, but I don’t think hardly anyone knows the political symbolism underneath The Wizard of Oz, because, again, it’s a thing that happens in Finian’s Rainbow, even though as Peter Stone, a noted playwright on Broadway, said, “It’s the only socialist tract ever on Broadway.” Alright? People don’t hear the political message in it, OK? They are vastly entertained. The same thing happens with The Wizard. You know, nobody would even think of such a thing. YIP HARBURG: My songs, like “When the Idle Poor Become the Idle Rich” and “Brother, Can You Spare a Dime?” caused a great deal of furor during a period in Hollywood when a fellow by the name of Joe McCarthy was reigning supreme. And so, they got something up for people to take care of us, like me, called the blacklist. And I landed on the enemy list. AMY GOODMAN: Today’s program was actually produced for radio in 1996 with Errol Maitland and Dan Coughlin. Special thanks to Gary Helm, Brother Shine and Julie Drizen.